THE EASTERN DISTRICT CLAN – NOHJCOLEY, CASH4 & POSTERBOY !! ALSO: DETH KILLERS – DETH RALLY in 3d at 9PM !! 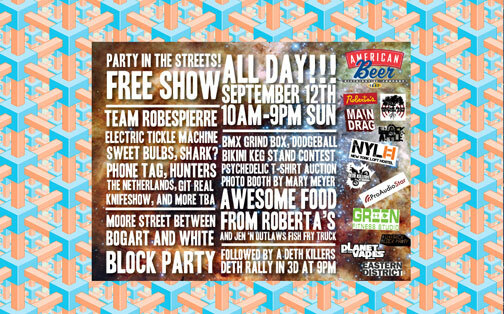 check out this website for the event: bushwickblockparty.com – it’s got a great animated graphic going on ! !